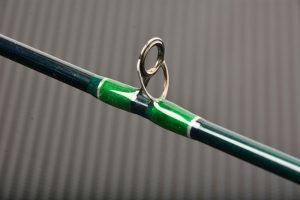 Check out these amazing thread wraps over double foot guides and learn some new ideas to improve your rod builds. 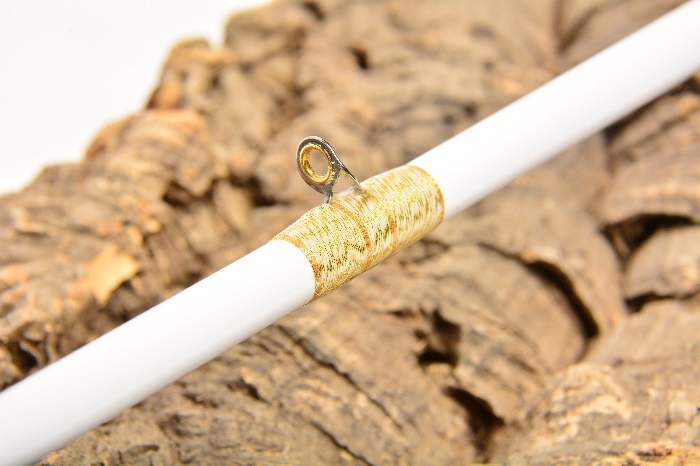 Whether you’re looking to customize rods for your customers, to attract more buyers or to add to your own collection, these thread wrapping ideas will help boost your build’s thread wraps with the perfect pop. 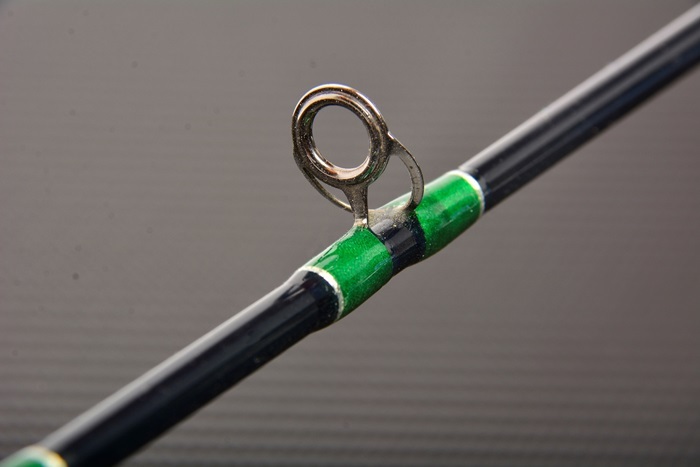 Wrapping a double foot guide is no harder than wrapping a single foot, it just requires twice as many thread wraps. 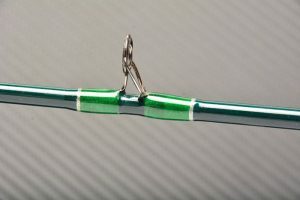 If you can wrap a single foot, you can easily tackle a double foot guide using the same method above. 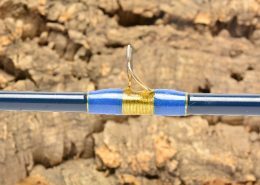 In fact, just flip your rod after wrapping the first foot and then wrapping the second foot will be in the same direction. 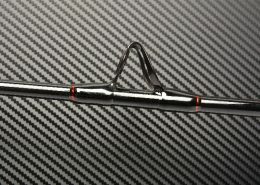 Plus with the innovations of ProWrap Rod Winding Thread, the wildest thread ideas and designs are yours to show off on the water. Just because double foot wraps seem like an easy concept, that doesn’t mean rod builders don’t need a little creative kick to get their thread wraps heading in an exciting new direction. 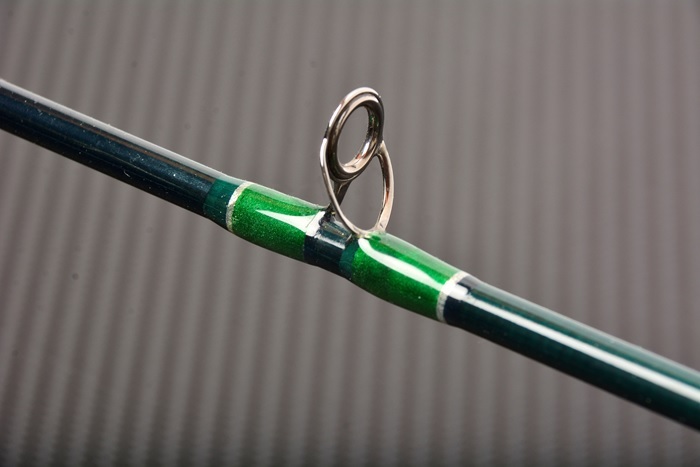 Whether it’s a large casting guide for trolling applications or a stripping guide on a fly rod, trim bands are a simple way to make your double foot guide wraps look really sharp. Trim bands can be added with just about any thread, but popular choices often use contrasting colors or shiny metallic threads. For example, the rod above uses black thread wraps, but adds metallic red trim bands to give more emphasis to the sleek guide wraps. 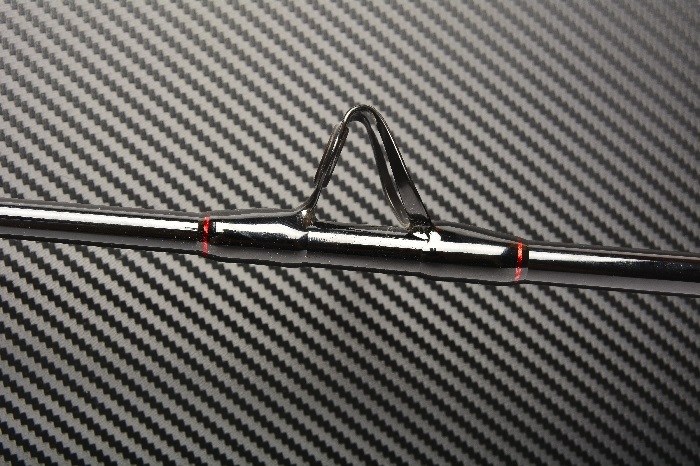 The metallic thread really shines against the black background for an excellent custom effect that demands attention. 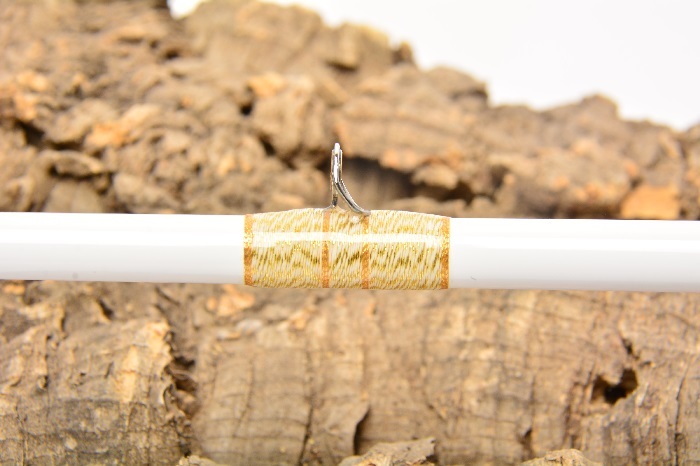 Thread inlays don’t take long to learn and really only require a second to add, so why not learn how? Trim bands are a creative way to add a little flash to any rod build. 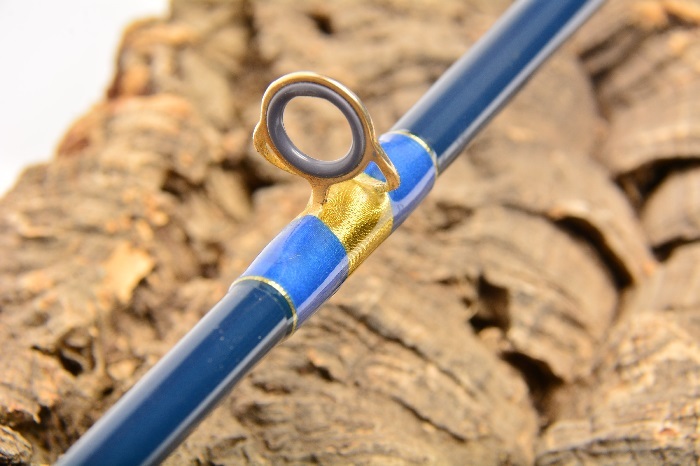 These decorative bands can be placed at the ends of the main guide wraps, create measurement marks on a blank or even take the place of a winding check at the end of the grips. 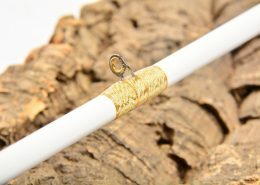 Learn 9 easy steps for custom trim bands in our blog that explains a simple trim band technique including step-by-step photo illustrations! 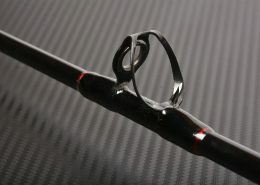 Underwraps are also very popular with double foot guides. 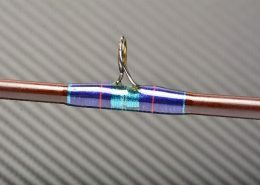 But unlike trim bands, underwraps can do more than just boost appearance. 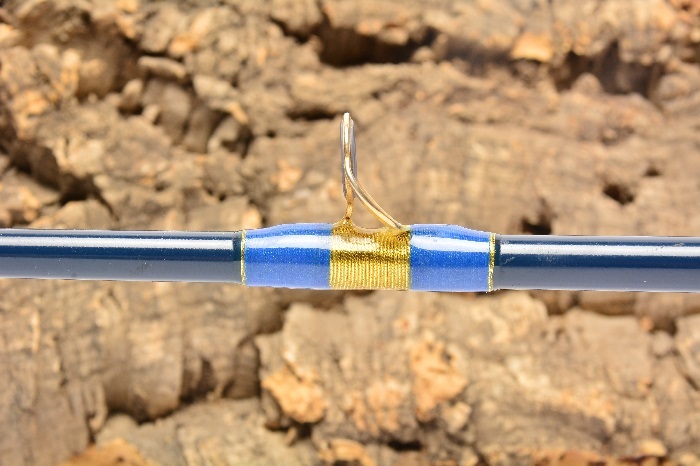 For instance, the thread of an underwrap provides a layer between the guide foot and the rod blank, which can help protect flexing rod blanks from the inflexible guide feet. 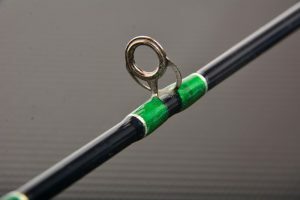 While this underwrap principle is more important for heavier saltwater rods with much larger guides, that doesn’t mean underwraps can’t be used for other applications. 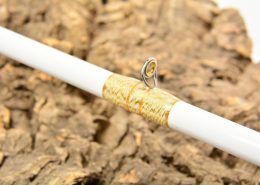 Another interesting part of underwraps is that you can start the guide wrap just after the underwrap to simultaneously produce trim bands on the edge of the wrap. 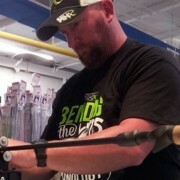 It’s easy to upgrade the appearance of your wraps with an underwrap. 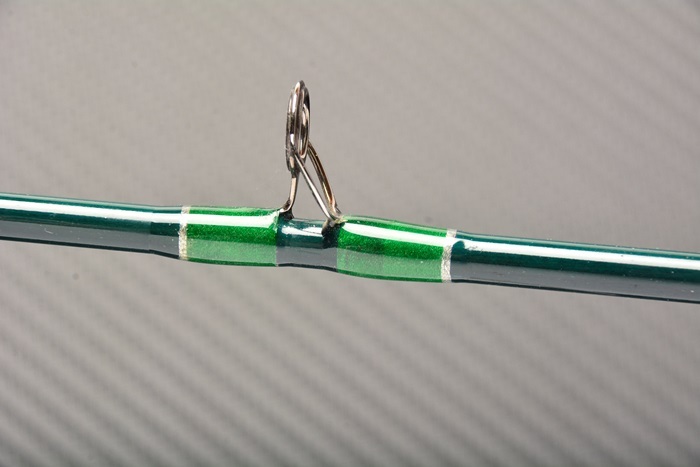 Simply decide how much of the underwrap you want to show and mark it on the blank with a china marker. 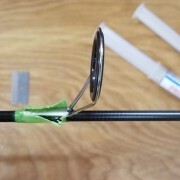 Next, begin wrapping the thread on the blank as if the guide was in place and remove the marks as you go. 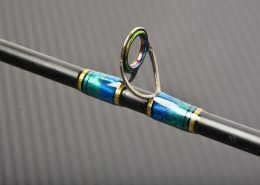 Some rod builders will then wrap the guide on top of that underwrap, but it also wouldn’t hurt to add a layer of finish to the underwrap and letting it cure before adding the guide wrap. 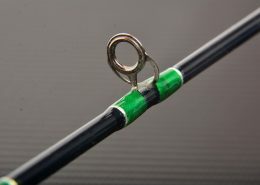 In fact, most rod builders find that second method makes it easier to wrap the guides without interfering with the threads in the underwrap. 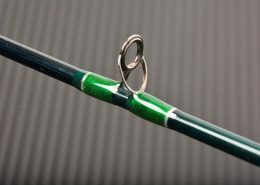 Not all underwraps are done with thread, try using rodskinz or even abalone to produce some really cool effects. 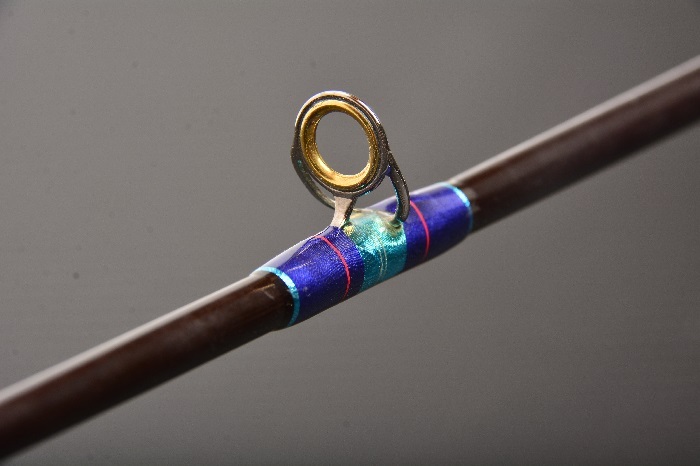 Learn more about the Abalone Kit with Heat Gun, the only kit you need to add custom abalone underwraps right to your rod! 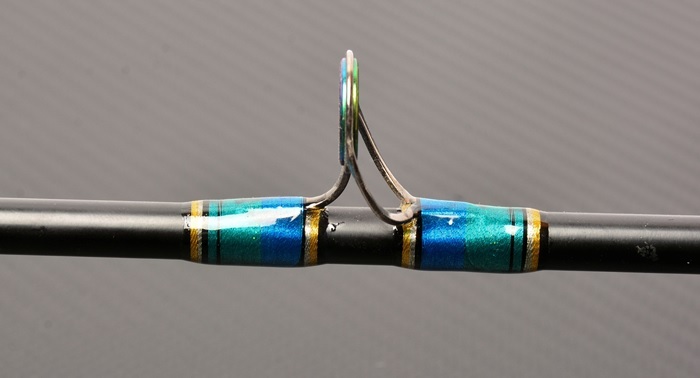 Like trim bands, thread inlays can bring subtle, yet sharp additions to any guide wraps. 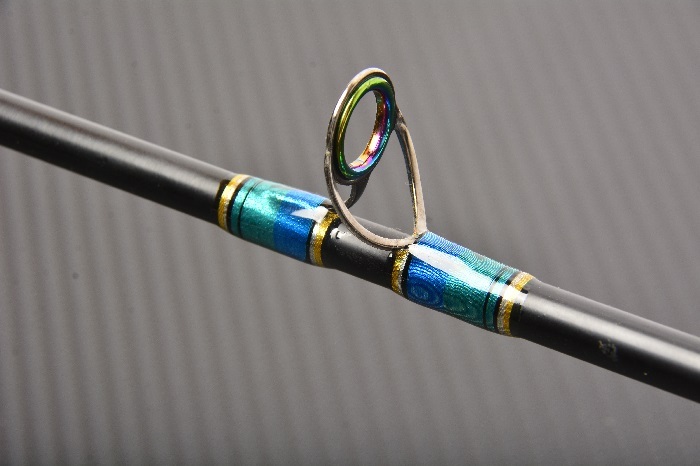 A thread inlay incorporates the accent thread into the actual guide wrap to create some really eye-grabbing designs. 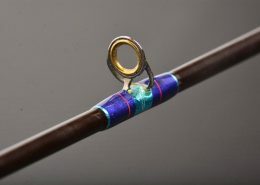 Not only does the inlay add a pop of color to the guide wrap, it also makes the guide wrap look more professional and pleasing to customers and fellow rod builders alike. 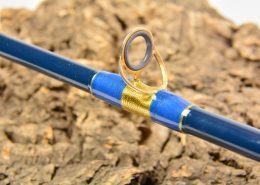 Since fancier threads like twists and metallics don’t have the same tensile strength as traditional rod winding threads, it’s not recommended to use these thread types to hold rod guides in place. 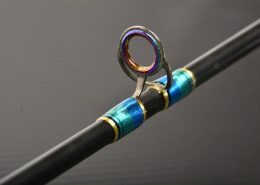 Rather, these thread types are meant as pure decoration to further dress up a custom rod and impress your rod building talents upon potential buyers and builders. 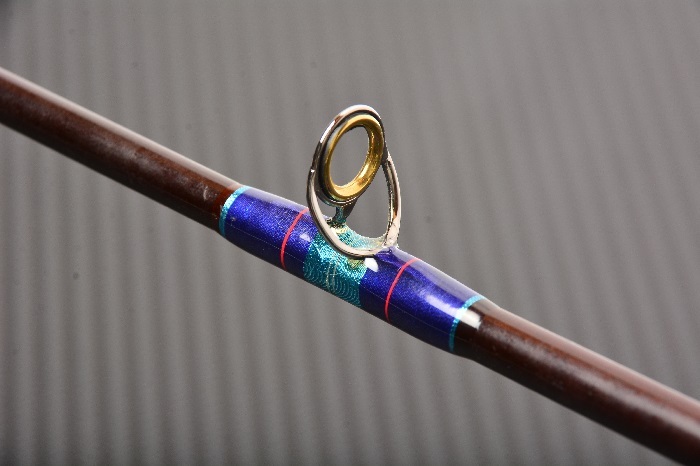 This guide wrap stands out because the metallic thread combination reflects the guide insert and its holographic beauty speaks to the true custom rod builder. 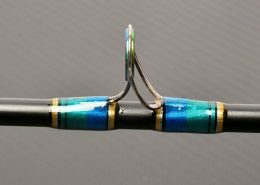 But if you look closely, the actual guide wrap is a flat black, but this particular builder chose to add metallic overwraps to take it to the next level. 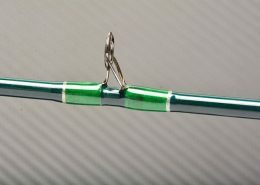 Overwraps are just as easy as a guide wraps, yet like underwraps, some builders prefer to coat the guide wrap in epoxy finish before adding the overwrap. 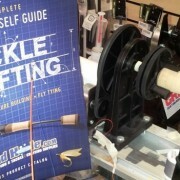 This will help keep the two thread wraps separated rather than pressing the overwrap thread into the guide wrap. 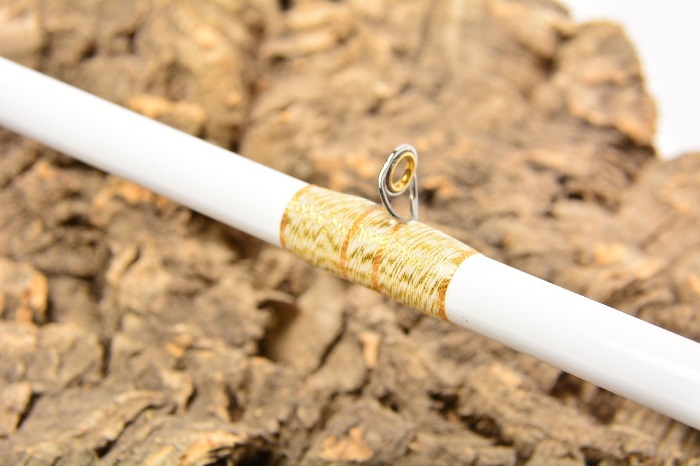 Simple and effective, overwraps can boost thread wraps and allow you to use more decorative threads over your guides. 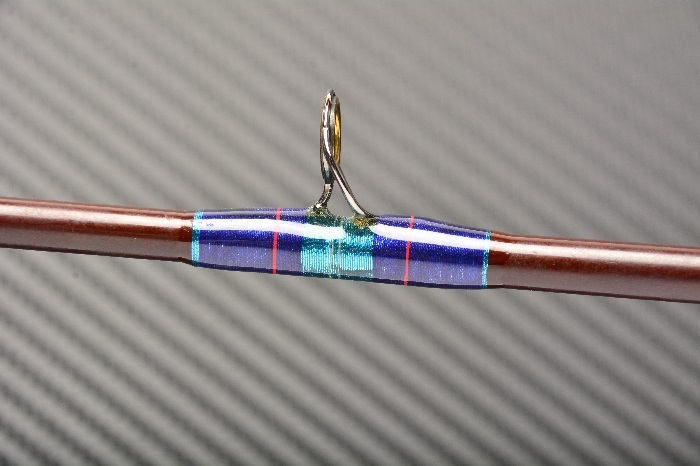 Much like custom rod building, the only limit to thread wraps is your own imagination. 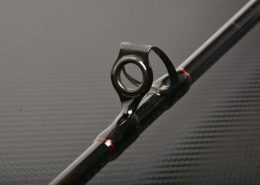 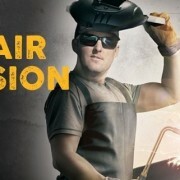 From trim bands and thread inlays to underwraps and overwraps, there is no shortage of ways to customize guide wraps. 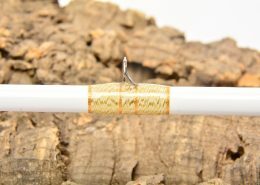 In fact, try using An awesome way to create amazing thread wraps by just incorporating more than one thread technique. 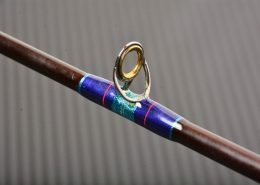 The thread wrap above uses an inlay in the underwrap and in the guide wrap for a breathtaking custom guide wrap. This customization makes every aspect of the thread wrap stand out and look truly incredible. 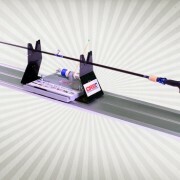 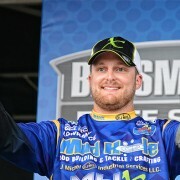 There is no limit to guide wraps, so get creative and customize your thread wraps to raise your own rod building bar.